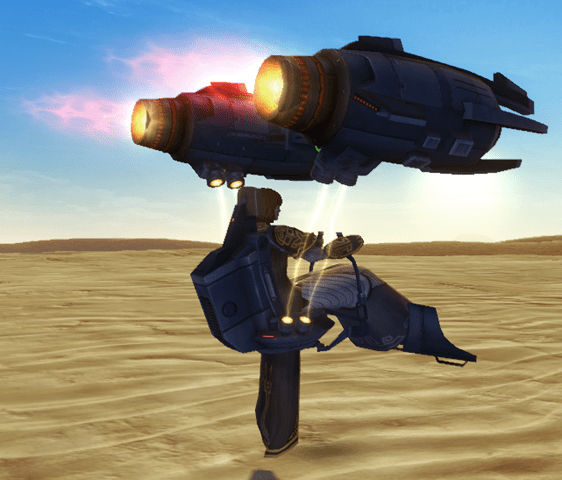 A podracer was a repulsor lift racing vehicle piloted during podraces across the galaxy, though specifically in the lawless Outer Rim Territories. 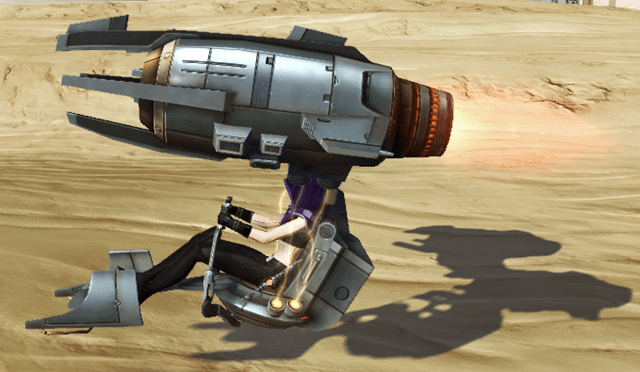 The term “podracer” was also used in reference to a being who piloted these racers. 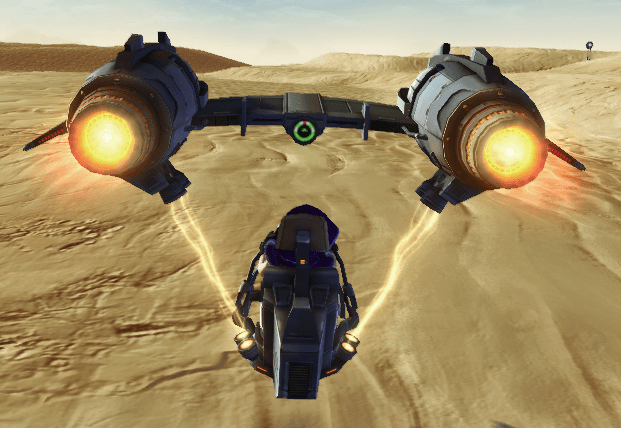 A podracer, or “pod”, was essentially a one-pilot cockpit attached to two racing engines via strong cables, such as those produced by Steelton. The special engines for these craft traditionally came in one of two varieties of mechanical action: internal combustion engine types or rocket motor types (engines used moving mechanical parts and rocket motors used no moving mechanical parts). At a distance, one could differentiate engines from motors by noting if there were rotating fan/turbines at the front of the craft (engines had large rotating fans, motors lacked them). Energy binders projected from each engine connected both turbines together, forming a loose triangular configuration with the pod itself, dragged behind the engines, at the highest point. A racer could commonly achieve speeds in excess of eight hundred kilometers per hour. 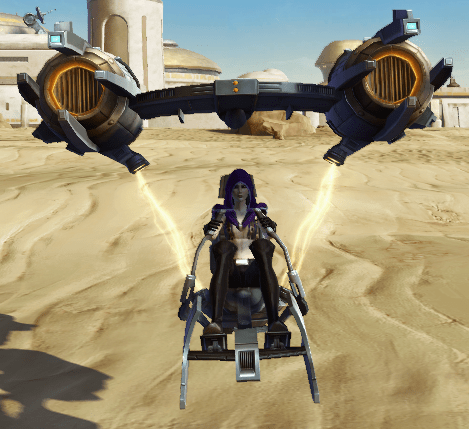 Because of this, podracing required lightning-fast reflexes, and only species with a wide range of sensory organs and multiple limbs or durable bodies were known to race pods. Species such as Humans rarely took part in races, and never won—with a single exception.